This cat is the real deal…Jay Blakesberg. He’s been photographing the biggest in business for a long time and he knows what he’s doing. A favorite of the Grateful Dead, Jay has been there, done that, seen it and shot it. Do yourself a favor and go buy his new book, JAM. It’s fantastic! Oh, and he’s a good dude, too! 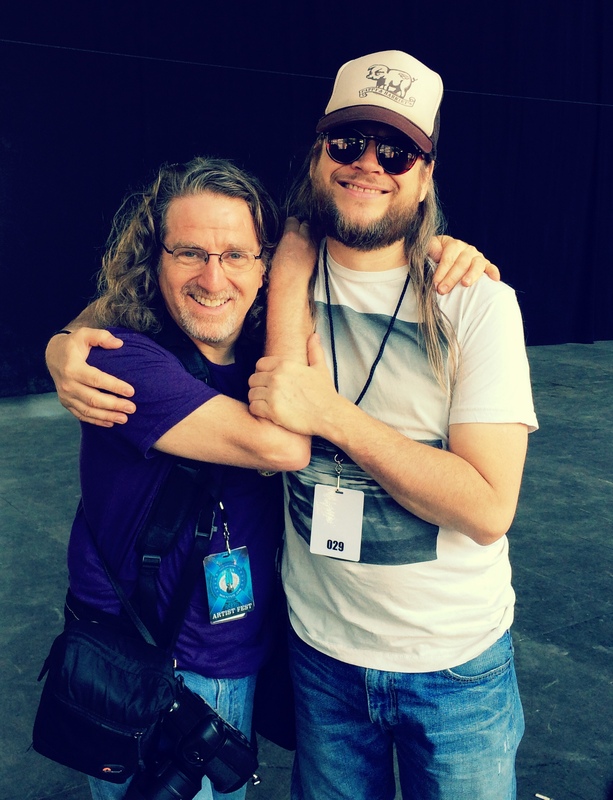 The great Jay Blakesberg and me at Mountain Jam, 2014. Happy to call this cat my friend! Photo courtesy of Neal Casal. Now for a couple of days off in beautiful Santa Rosa. I think I’ll go swimming!